It comes with 4 intimate rooms, plush day-beds and a 55-foot marble-tiled pool. If the opening of luxury crystal-maker Baccarat’s New York hotel got you excited, wait till you step foot into its spa. 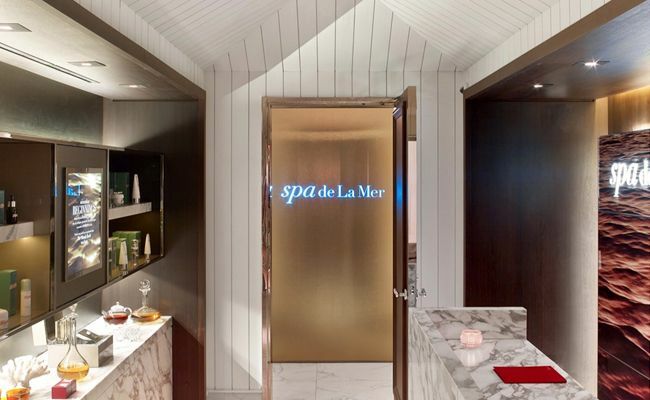 A one-of-a-kind hotel deserves a one-of-a-kind spa and in Baccarat Hotel’s case, it is none other than the exclusive Spa de La Mer. The spa is hidden two storeys below the entrance of the hotel, with the intention of recalling quiet, luxurious moments by the sea. Four intimate rooms make up the place, complete with plush day-beds and a 55-foot marble-tiled pool, beckoning to guests and locals to pay it a visit and be pampered by its indulgent skin-soothing treatments and revitalising respites. One of the spa’s signature treatments is the La Mer Miracle Broth Facial which the establishment has deemed as the crème de la crème of facials. It combines a bespoke massage with a pure infusion of La Mer’s coveted Miracle Broth extract that is exclusive to the spa experience. Another treatment that caught our eye is the La Mer Baccarat Facial that brings the story of Baccarat to life. Deep breathing, diamond-powder exfoliation, warming massage with signature Victory Stone and a cooling Ice Crystal Star technique leaves skin reflecting the spirit of Baccarat: flawlessly clear, translucent and glowing with ultimate radiance. A host of other massages, scrubs and wraps are also offered. Log on to the official website here for more information or to make a reservation. Other fans of La Mer: Olivia Palermo and German model husband Johanes Huebl, apparently.